Wine cleaning utensils. Decanter brushes, wine glass brushes, decanter cleaning balls. We have a variety of decanter stands in nickel, stainless steel and wood with cast iron. There is also a wine glass drying tree. Are your crystal wine glasses in need of polishing? Does your wine decanter have residue on the interior of the base? 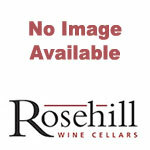 Rosehill Wine Cellars has all the answers when it comes to maintaining the sparkle of your glassware. What is so great about the glassware cleaning products we have available? They are so well priced that it can be very inexpensive to maintain your crystal. 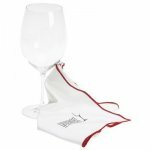 Whether a decanter brush or a Microfiber EZ Clean & Polish Cloth, your glassware will shine up to look as beautiful as the first day you bought it! 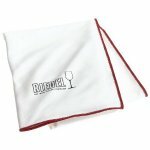 Are you in the restaurant business and need something to efficiently polish your stemware? Visit Rosehill Wine Cellars online to learn more about our Stemshine GP8 Wine Glass Polisher, which dries and polishes 6 to 8 times faster than the human equivalent! No time to dry? 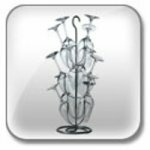 We also have decanter stands and wine glass rack trees available so that your glassware can dry while you’re on the go.